Concert October 30 – please go!! 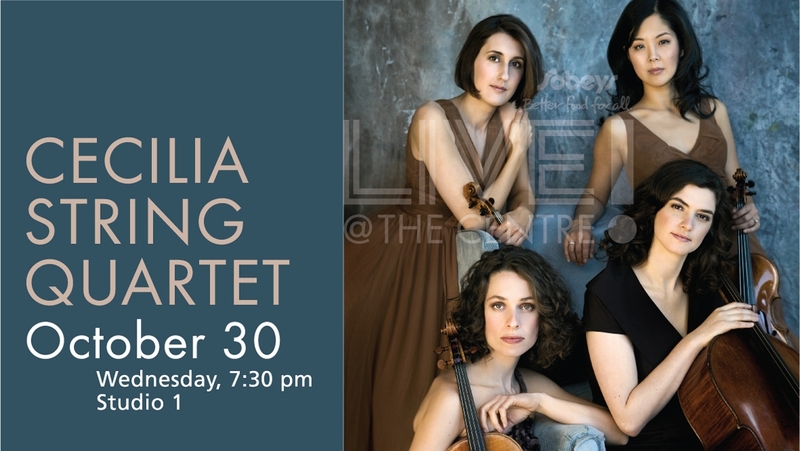 Owing their namesake to St. Cecilia, the patron saint of music, the Cecilia String Quartet continue to win praise following their 2010 First Prize at the Banff International String Quartet Competition. “The balance between expressiveness and interplay was almost dauntingly perfect,” wrote The Berliner Zeitung. The Canadian quartet now performs for leading presenters in Canada, the United States, and Europe. Their concert recordings have been broadcast on more than a dozen international public radio networks, including Australia, Canada (CBC/SRC), and Germany. Any Singing Strings students that are available to help Natalie with stuffing envelope before rehearsal on Wednesday, October 2nd (tomorrow!) – I can offer you a ticket to the October 20th PEISO concert in return for your help! Meet Natalie at 3:30pm at Park Royal United Church if you can help us… Thanks!